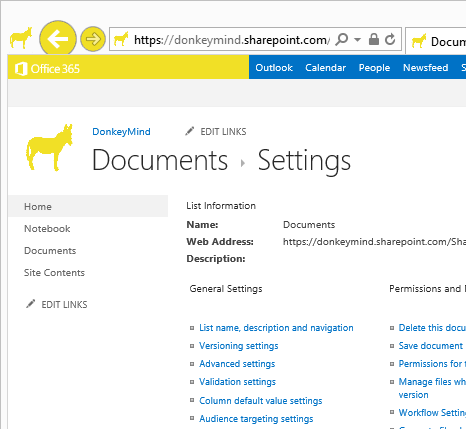 This is the third in the Office 365 and SharePoint Online series. 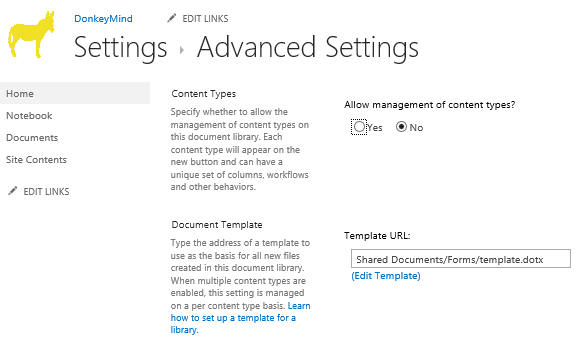 Use Office templates within your SharePoint Online document libraries. In every organisation, or at least the majority, you talk about templates and you know that you have them, somewhere, but in the end, you and everyone else end up using an existing document and make changes, like you take an agreement from one customer and make changes to the numbers and customer names…would it not be nice if you could get everyone to use the same template? And if a change to the template affected everyone? Wouldn’t that be just smashing eh? Now I’ll show you the easy steps you have to follow to just get started, We’ll use a simple word template in this example, but you can use any template that you allready have. Note: In this guide, I will show the quick and easy method, in a later post, I wil show how to use Content Types wich will also allow you to use custom templates, but in a much more controlled way. A link to that post will be added here when that guide has been posted. Start by locating a word template, or create one, add some info to the header with logo and company name and address maybe, and add something to the footer for example and save the file as a dotx file. 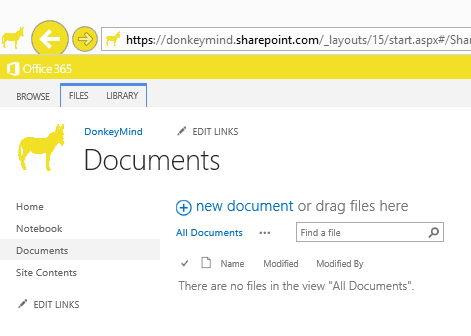 Save it locally so that you easily can access it when we want to upload it to our SharePoint online. 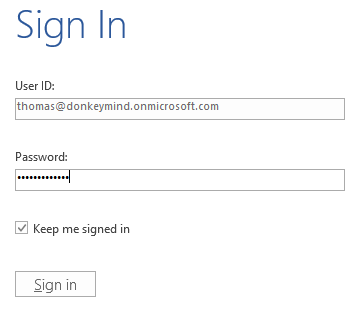 – I have created a simple letter template for the company DonkeyMind, with their logo and some additional info in it. I’ll use this in my step by step guide below. 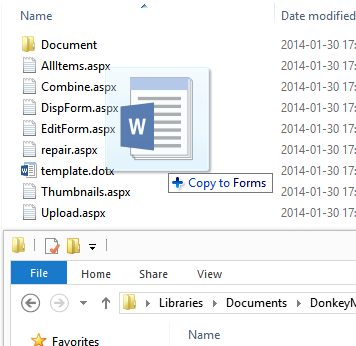 I saved this as letter.dotx in my ..\documents\DonkeyMind templates\ folder. 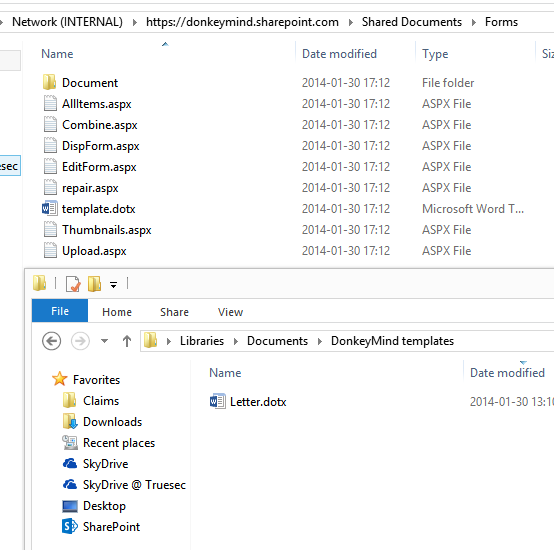 1.1 Browse to your document library in SharePoit online, where you want to use your own custom document template. 1.2 Click the tab, Library. 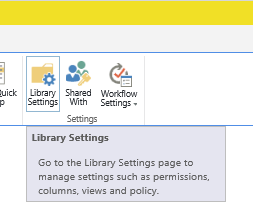 This will present the ribbon for you with the settings available for a document library. Note: The site URL has to be added to the ‘Local intranet sites’ or ‘Trusted sites’ with added logon automatically, if it isn’t, you will get a popup telling you that it will not work otherwise. 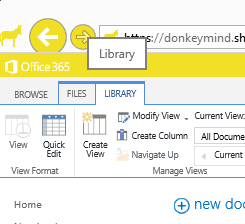 1.5 The library will now open in a Explorer window, in this windows you will see a folder named forms which is a bit greyed out. 2.1 Now, we need to change the template used from the default template.dotx to our own template, in my case, letter.dotx. Again, click on the Library tab. 2.7 Click on Documents in the ‘breadcrumbs’ to go back to the library again. 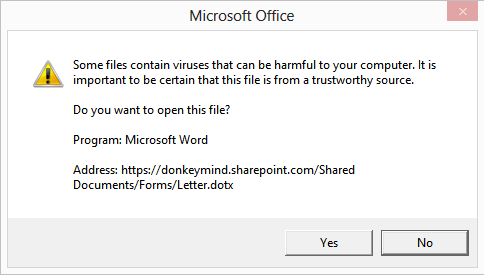 Note: Avoid this by changing the Trust Center settings in your Office applications. 1. Allow trusted locations on my network. 2.16 You are done, use the New Documents button to create your standard letters based on the custom template, again and again. 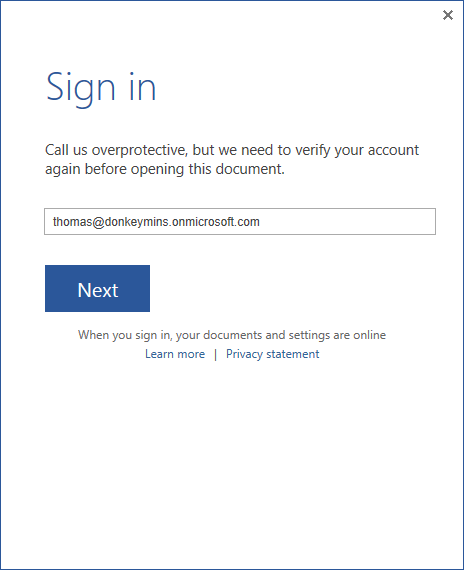 Note: All the same steps apply in SPO as well as SharePoint 2013 onpremise, exept for the ‘add site URL to trusted sites’ issue. In an onprem situation the URL is most of the time already considered Trusted or Local intranet. Learn how to set up a template for a library. Great guide Thomas. How do I do to get many different templates in the same library? Use Content Types and add several content types to the library. A Content type can contain a template, columns and other properties. I’ll get to it, a lot of other stuff is happening now…that takes all of my time. As soon as I can get the time, I’ll get on that, and others. Hello ! I thought i was saved by your article but didn’t get passed 1,2. The open in explorer option is greyed out for me. The url is in the trusted sites. 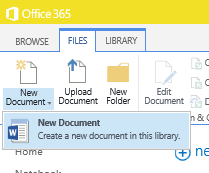 I have Onedrive for business running and i do have the library synced to a local folder. I can open it by simply clicking on the one drive for business icon and open fielder option. Where am I going wring ? 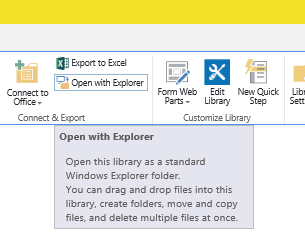 For open in explorer to work, a few things need to be in place. 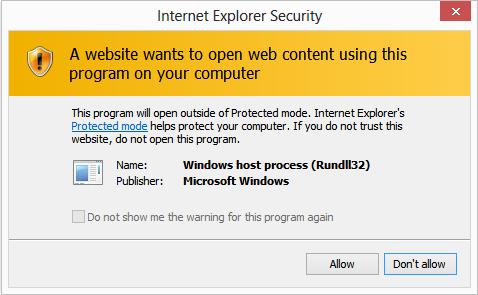 For one, it only works in IE.